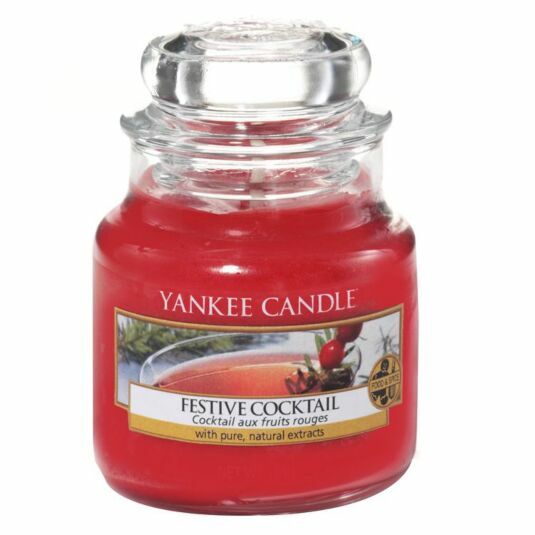 The weather outside might be frightful, but a festive cocktail is most delightful with this range of colourful and warming fragrances and this Festive Cocktail Small Jar from Yankee Candle, part of the Holiday Party range of fragrances. Celebrate with a tart concoction spiked with mountain berries and a sprig of fresh-snipped pine. Top notes of Citrus, Cranberry and Blackcurrant mingle with middle notes of Pine and base notes of Vanilla.